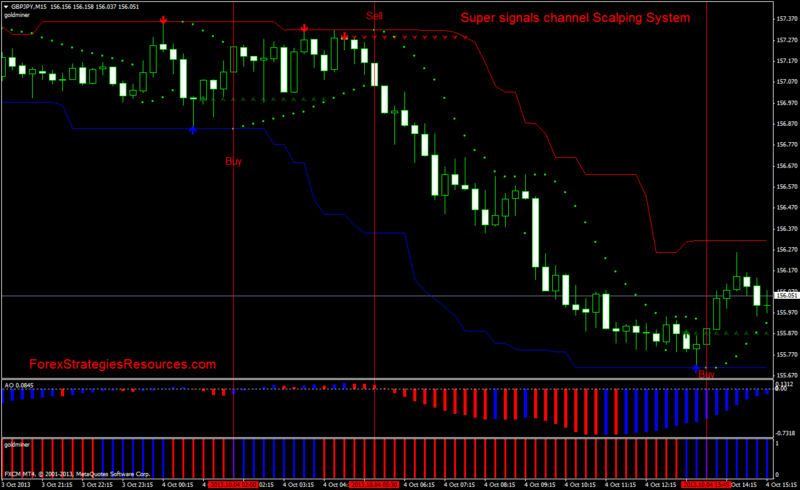 This is an Channel Scalping System based on two repaint price action forex indicators: ArzzX2 indicator and super signals channels indicator. These repaint indicators price action, are balanced by indicators that do not repaint. Goldminer 2 indicator blue bars. Goldminer 2 indicator red bars. When Parabolic Sar changes direction or fast profit target. Place initial stop loss 3 pips above or below the channel. THIS SUPER CHANNEL IS REPAINTED?